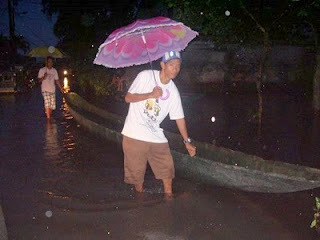 Remembering Ondoy because of Pedring : May nabago na ba? 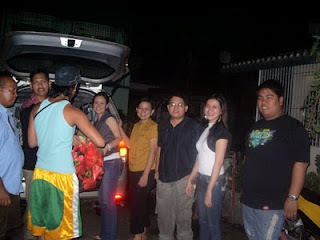 Joy was my client, she lives at Springhomes, Bucal, Calamba City and instead to go home, I am waiting for her, well maybe, to inspect also the house I am doing then for her which was just adjacent to the house she was living in that time. Ok she said were going after her meeting with this guy who was asking or inquiring about some course subject at Graduate School. Because Pedring right now is giving us again this kind of wrath but mostly in different parts of this nation not in my place now, I remember again and would like to repost this article of mine from “Mulat Pinoy”. Until now, I still don’t know if our goernment is ready for another ondoy. With different executives now in the house, may nabago ba?h Enjoy reading. 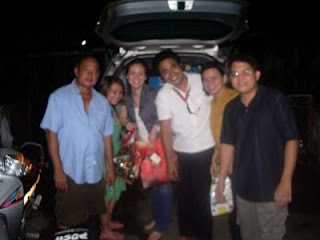 I was in the driver’s seat, and with me were three friends from Los Baños. We had just come from school. The water was brown. 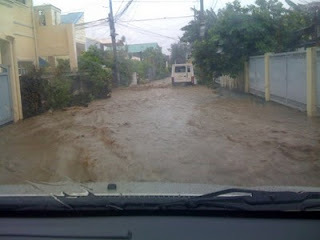 We thought the flood was caused by the new subdivision that was under development, soon to be home for those who can afford to live in the hills. The developers had removed all trees to make roads. I suddenly blamed the government for the approval they gave to progress they thought could help the community, a sprawling subdivision in a new city. I finally made it home at 10 o’clock that night. 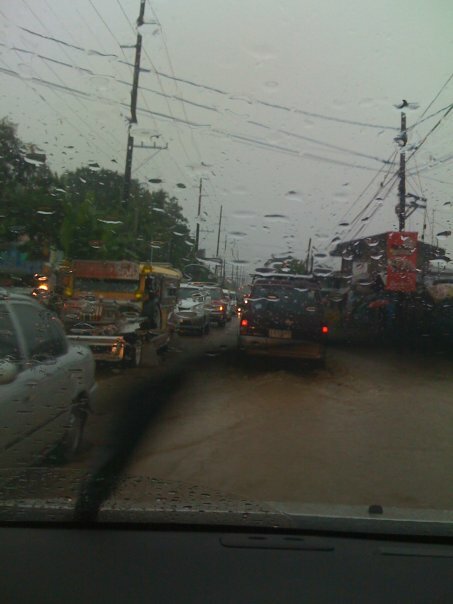 Without the flood, my lovely Calauan would only have been one hour away. 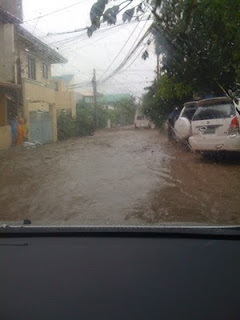 I kept on thinking about the causes: climate change, ignorant and careless human beings, the Department of Environment and Natural Resources, the Laguna Lake Development Authority, subdivision developers, contractors and builders like me. I became an environmentalist two years ago. My environmental technology professor—whom I consider my mentor—asked me why I wanted a master’s degree. I had my own company, so I didn’t really need a degree just to get a higher position at work. I told him that I didn’t plan for this. It just happened that I felt I needed to grow more as a person. I believed that continuing education is a must, whether it’s as formal as going to school or something as simple as reading a newspaper. 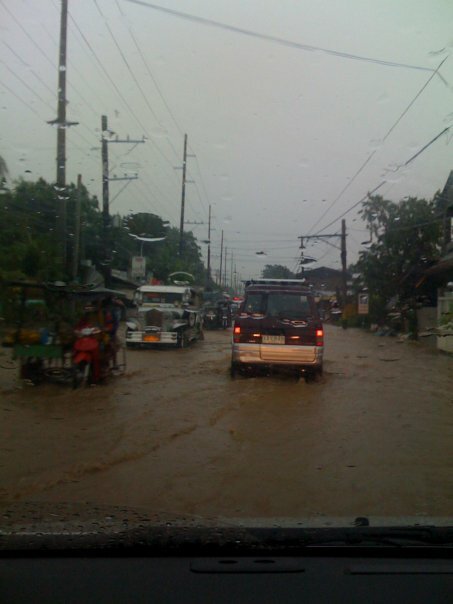 I heard on the radio that said the water levels in Laguna de Bay were exceptional. The last time this happened was a decade or two ago. I remembered that the decomposition of plastics, styrofoam and glass bottles take anywhere from 18 to 1 million years. I tried to illustrate this with a glass of water: if I add a small piece of plastic every minute, the water will overflow, and the decomposition of that plastic will take 18 years. So imagine that on a much larger scale in the bay, which is flanked by the capital city of Sta. Cruz and places like Bae, Los Baños, Calauan, Pila and Victoria. I found myself asking my friends, classmates, and online contacts for donations. 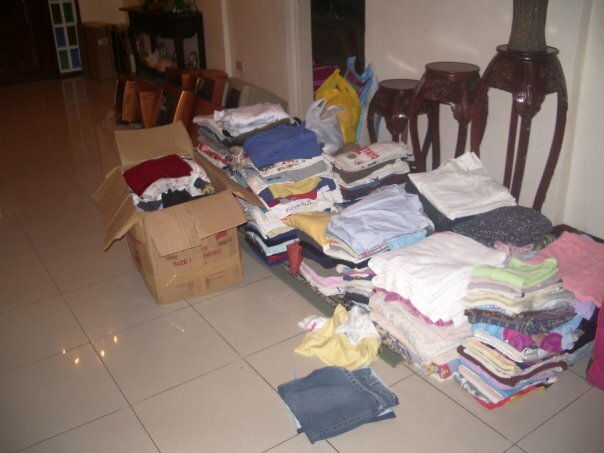 These were donations not for Calauan where I lived, but for the victims in bay area. The schools were used as relocation sites, the places where the victims once lived now empty and eerie. 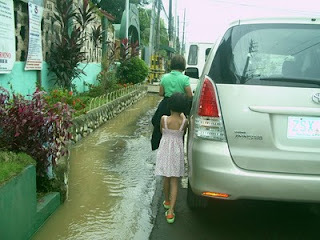 I went around with my secretary, going towards the Laguna de Bay. There were boats in a place that only tricycles and jeeps used to frequent. I saw a kid at a sari-sari store, clutching an umbrella, knee-deep in water. I took pictures of everything, and I was so confused. Why was this is happening? Was it the wrath of God? Or a man-made mistake? I asked my professor to excuse me in the middle of our class, and I asked my classmates to help me distribute the goods that I had collected. 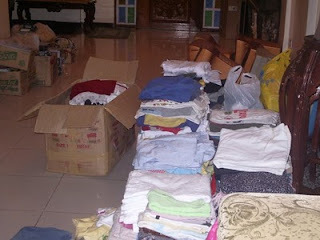 The donations were placed in paper bags, because I didn’t want to add to all the plastic in the water. The donations were meant for barangays in the bay area, where it took the water three long months to subside. A few of my classmates came with me. 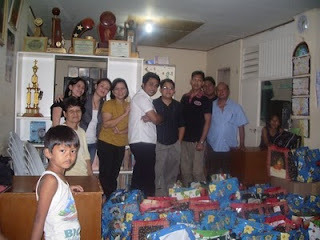 They removed their shoes and folded their pants up, and we distributed the relief goods. 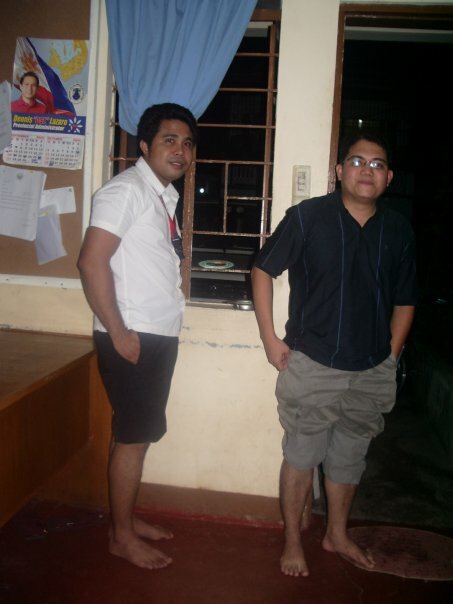 They were students just like me, taking up a Master’s degree in Management, majoring in Engineering Management. I was so overwhelmed. The experience taught me a lot about awareness. Most people don’t know the consequences of throwing a small piece of candy wrapper just anywhere. They don’t know that cigarette filters take 18 years to decompose. I started attending advocacy programs, DENR conferences, anything that would make me more knowledgeable, anything that I could share with my small community. Maybe, one step at a time, I can make a difference. I started organizing seminars about climate change and the ozone layer. I wanted to develop a current events and awareness program. I started distributing walis tingting as a way to help the livelihood program of a local women’s cooperative. I am learning so much that I am often surprised. My employees wonder why I am doing this. People like me have problems too, so why add more problems which are not really mine to solve? I just really want to help in my little way. Hopefully, one step at a time, I can make a difference. 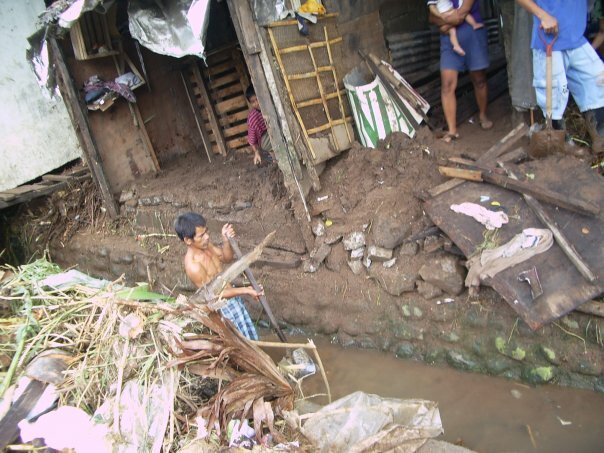 Calauan, Laguna according to the 2007 survey has 54,000 in population. This is when “Bayan ni Juan sa Calauan”, Binay Compound and settlers or relocates from Manila are yet been transferred. 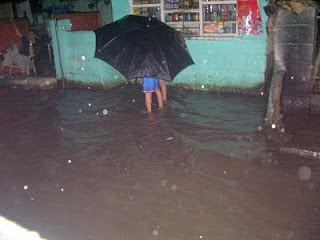 Today, more than 70,000 are living in this 3rd class municipality that is headed by our Lady Mayor Feliza Berris. Booming of population is better to some grounds but only if the investors are coming in. Crime rate went up and unemployment from the national survey for the Philippines is 7% right now, though I am still doubtful about the accuracy. Poor became poorer while the minority few became richer. Still in this place, a lot of people doesn’t have their own land, we have KASAKA at Brgy. 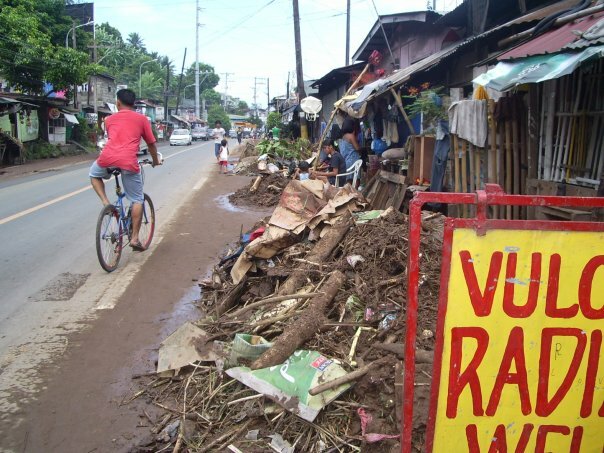 Balayhangin and Lamot 2, also from these 17 Barangays, many are illegal settlers but have the right to vote already which made them legal residents. 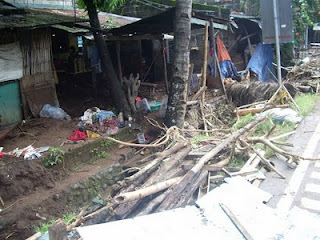 “Looban” or from the English term “inside” is a place in Calauan, Laguna. 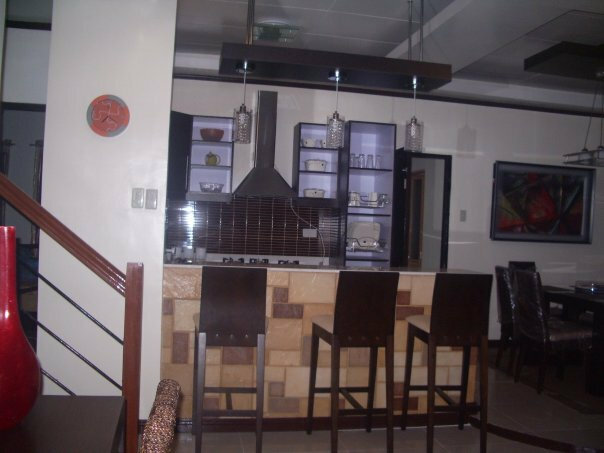 It is located in the heart of Barangay Silangan, the town proper of Calauan. More than 50 families are living in this place illegally for more than 50 years which is own by the Catholic Church. The residents don’t have anything but this shelter where they are living almost all their life. “Do it right” advocacy wants to help them by giving even at least two pieces of Solar Lamp Post to light their way, they are living there illegally but surely a legal residents of the community already. We are knocking once again to your good hearts, at any cost, if together, it will be enough. At night and if one is not familiar with the place, you will surely have an accident with the slippery and concrete stairs going down to “Looban”, there is no othe way than that. Even some Calaueno doesn’t have any idea that a place like this exist, been there just last year and yet I am just living in the neighboring barangay. 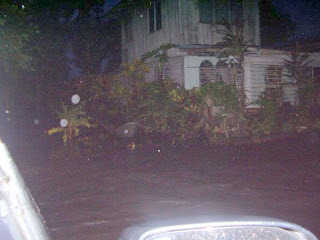 Whenever there’s typhoon, imagine them inside with a 3 x 3 square meters home. Some parents living here even have 8 kids without a permanent work that could protect all of them and these are all because of poverty and lack of education. 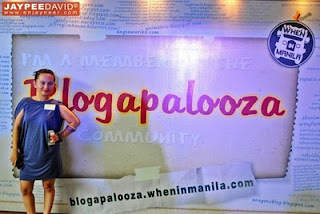 Blogapalooza: They came, we blog, we conquer. 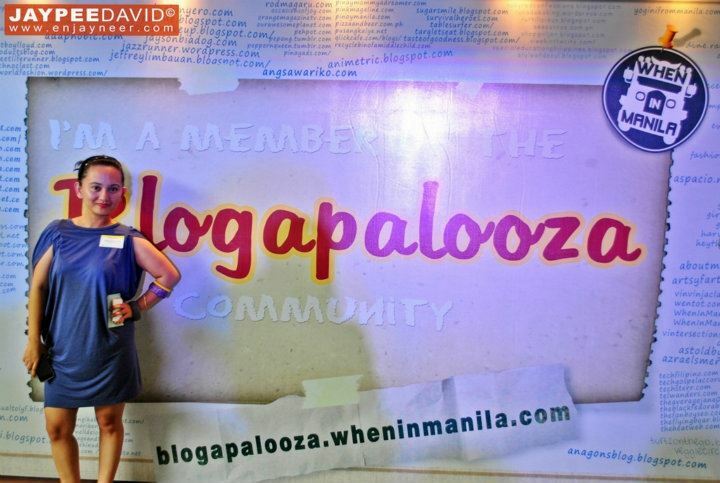 September 17, 2011 Almost 150 most influential blogger from all around the Philippines attended the first Blogapalooza event. Organized by “WheninManila” or most famously known as the Deejay Vince Golangco of 94.7 Mellow FM. 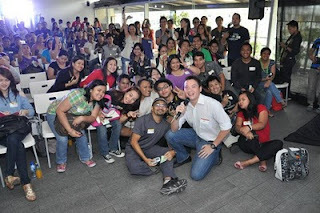 Bloggers and Entrepreneurs all gathered at Fullybooked, Fort Bonifacio, Taguig. Sponsors came with their products for the attendees and the loot bags after the event was overwhelming from foods, products to gift certificates. Right now with 1 single click, most will be empowered, influenced and could encouraged the followers or supporters from the most advance influencer today, the social media. 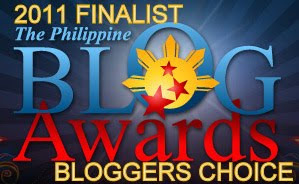 Bloggers are the one who are shaping the digital world with overwhelming energy to spread what gets their attention. 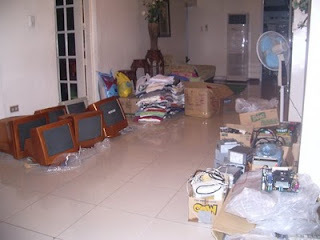 Online shopping or online purchases of products are not new nowadays especially abroad but in this developing country we are living in, people are still asking about the safeties and accuracy of what we see in the cyberspace especially those that we are buying whether with the use of credit cards or payment through bank deposits. 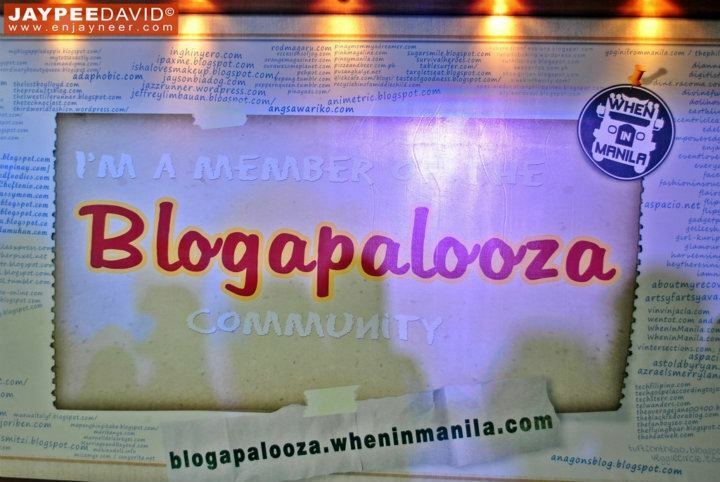 Thanks to the first ever Blogapalooza where the 150 most influential bloggers has been chosen for their objective and influence level they are sharing in their website or blogsite. These are the people who can make you choose what they like because of the credentials and reputation they have online. 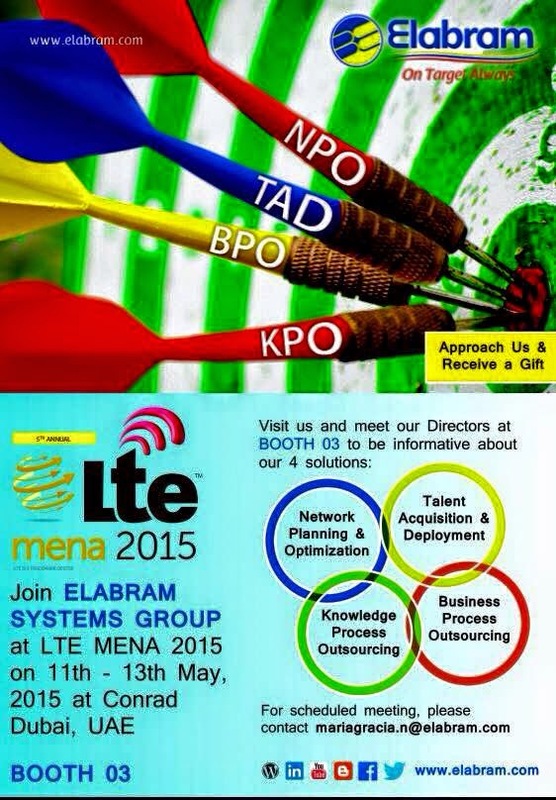 A perfect combination with the sponsors of the event, the business sectors. 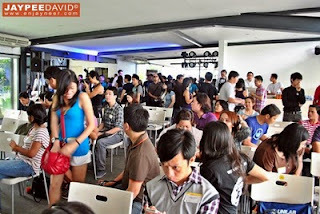 Bloggers came not because of the giveaways but to share their passions and understand those with the same passions as they have, Bloggers came to meet the friends they have online in flesh and they came to check the businesses they think will help the community through social media. Businesses came to connect and meet the new influencers, right now because of passion. Bloggers could advertise their products/services without giving out big quid unlike in print/ tv or radio. 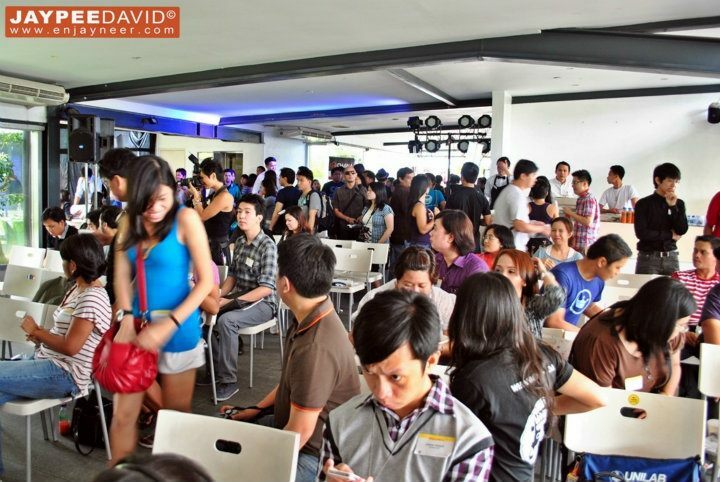 Majority came to understand each other and to experience the first business to blogger (B2B) networking event for the first time. 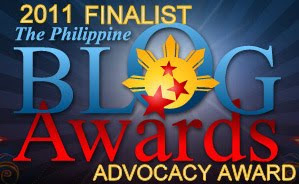 As an advocacy blogger who tackles everything about life, community, environment, human rights, people, progress and change, some businesses or products took me by surprised. As an Environmentalist, TreeHugger got my attention, the presenter show to us a recycled body cover of the pen from corn husk. Magnificent indeed, a waste but still can be use and could help the environment. They also asked the attendees to write their own wish for the environment that will be posted at the Treehuggers website and yes mine is to spread the word about the Reproductive Act 9003 or known as the waste Management Act of the Philippines for people to become aware about the significance of recycling.. How cool! They did their part, how about you? Because we also value life and good physical and mental health, Aquabest, Easy- Phamax, Healthy First juices and Lipton Tea are my choice to sustain our healthy body. They also gave samples for the bloggers to try. Yummy and healthy into one. For physical wellness too, I like what the Polecats are offering, a different kind of exercise for me is dancing and having fun at the same time. They even did their great routine for the bloggers to see, how it feels like and how to arrive with the body like theirs. Healthy, Enjoy and must try with a lower cost for each session. 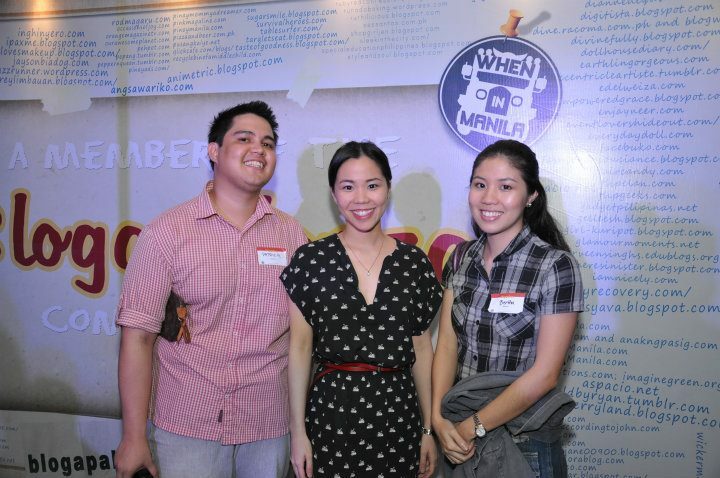 My blog watch family who are a group of independent minded advocate bloggers and social media users who are actively participating in all kinds of events attended Blogapalooza too, we write, we blog, we are conquering the social media and a finalist too at the Globe Tatt Awards which from that company are the best in social media. 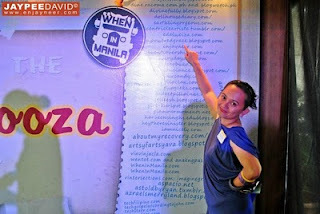 Blogwatch writers attended everything from travel, convention, rally, food congress to technology related affairs. We are composed of people in different fields like a housewife, entrepreneur, radio deejay, travel magazine editor, cyber wellness speaker, project engineers, club emcee, professional photographers, TV producer and even the best voice actor and food expert. Truly the event was amazing to see old and new acquaintances. 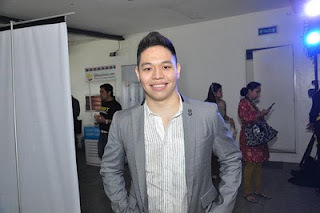 For our own Filipino made website for online shoppers, I am now aware about Shopinas.com, the CEO Sheila Lina is still young, maybe at her early 20’s but with high spirit and determined for her business to be known not only in the Philippines but worldwide with the use of FedEx and Air21. 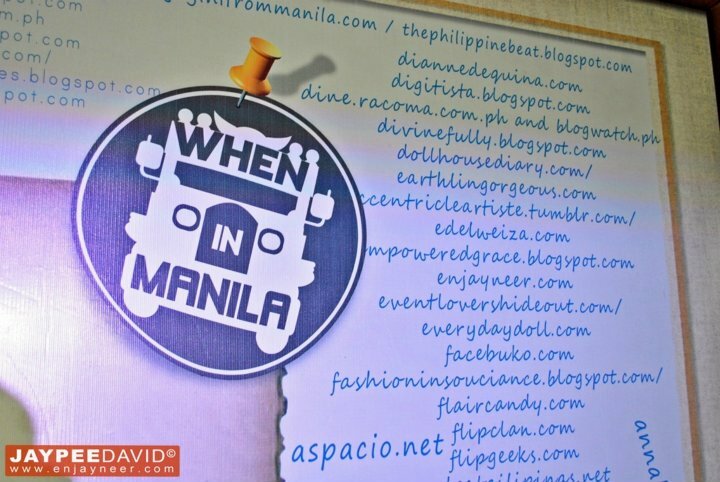 Shopinas.com even allotted a page/template in their website for the new products/business/services who are interested to join in their new but obviously growing company. Don’t forget that Shopinas.com also guarantee the security for the clients and checked the partner businesses about legalities. 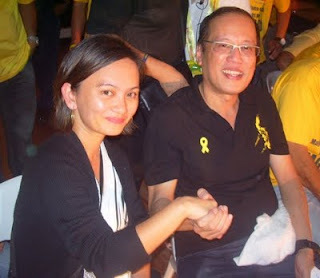 Truly amazing Pinoy and may I say, an empowered woman. Because we would like to help the community in our own way, I appreciate Farmer John Premium Potato Chips and the Chicharone which are distributed by Leslie’s Corporation. Because they are the maker of my favorite “Clover chips” and truly a Filipino invention, I highly recommend to have these Pinoy products than to buy an imported one with the same taste, just like the movie Ratatoille, the food is an experience that you will never forget and will bring you back in time when you are still young. Don’t imagine that, taste it. For our own Filipino Talent, Here comes Creative Voices with no other than Pocholo Gonzales, the voice behind so many productions. Giving you a quick review and yes from Wikipedia, see how talented he is: Pocholo THE VOICEMASTER Gonzales is a veteran in the art of Filipino voice acting. His voice was already used in a thousand characters in anime, hundreds of local commercials in radio and television, and various children's programs, films, foreign telenovelas, drama, and other TV shows. Apart from being a voice director of Hero (TV Channel), a voice artist and coach, he is also busy with organizing events and voice acting workshops. 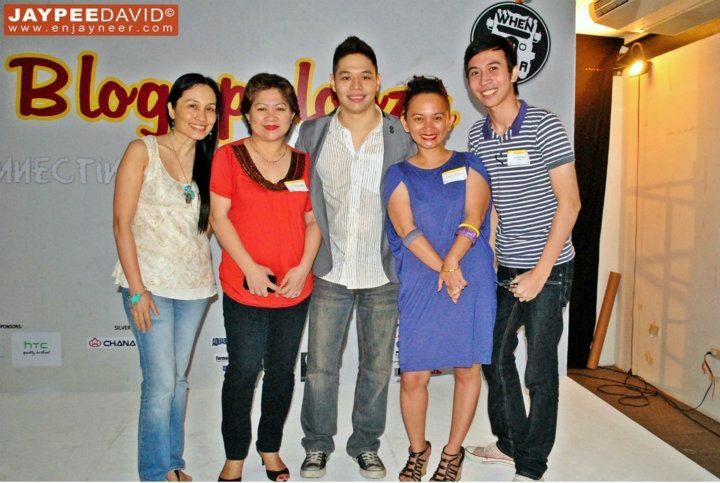 Known as the Father of Philippine Podcasting, he is also voice talent producer. He also owns a talent agency known as(Creativoices Productions). At his age, Gonzales was already able to establish a standout career. He was also a board member of Advertising Suppliers Association of the Philippines and Animation Council of the Philippines, Inc.
Creative Voice is a company helping talented kids and individuals to achieved their dream using their voice. 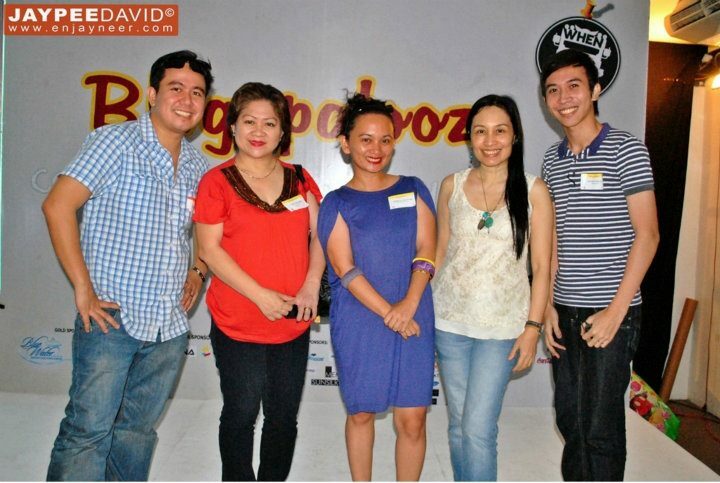 Creative Voices even gave everyone a gift check worth php 3,500.00 pesos for a session one will never forget. One never know, you will be the next voice master. 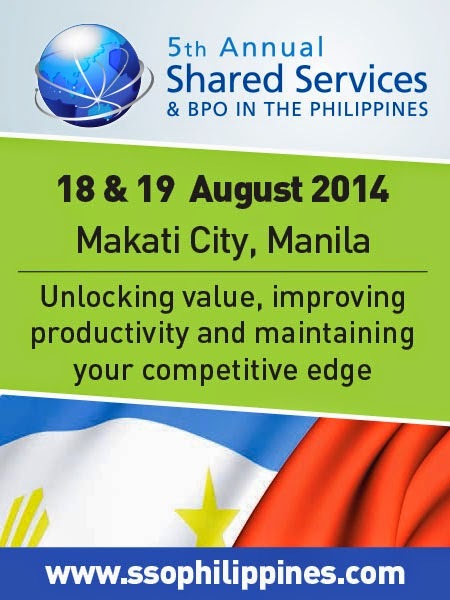 So far, that’s the review and the outstanding products and services that got my attention. We came and now we are blogging as objective as we are based on our actual experiences. Blogapalooza is a success with 150 bloggers and 50 businesses into one Fully booked place at The posh Fort Bonifacio area t Taguig, a history already and yep! Bloggers and entrepreneurs will never forget it and looking forward already for the next amazing 2nd Blogapalooza. Now we are ready to conquer the world..in just 1 single click. 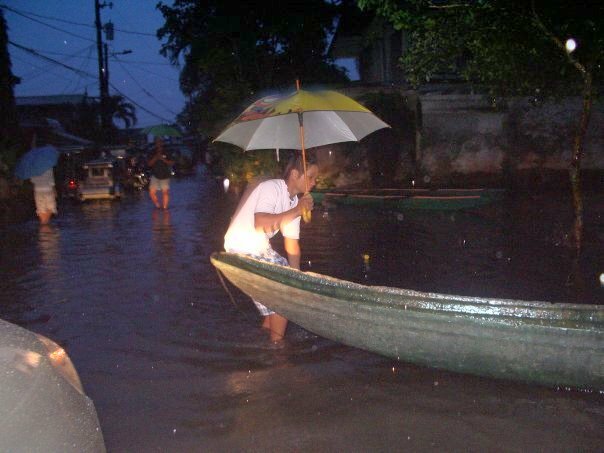 Liwanag ay pangangailanagan na sa ngayon o bbukambibig ng karaniwan na ilaw na may kapalit na kabayaran. 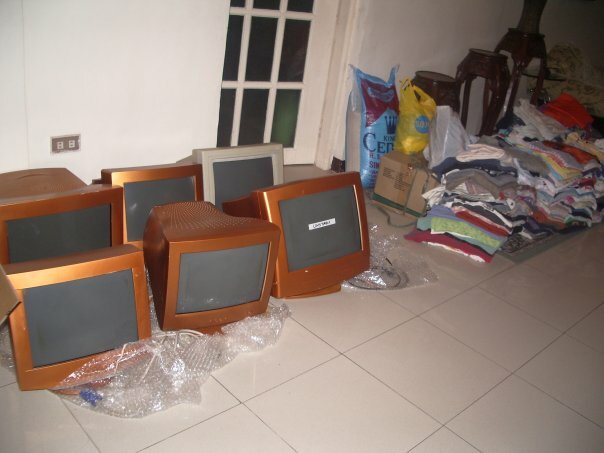 Ilang kilalang nag susuplay sa buong kapuluan tulad ng Meralco o Batelec ay isang pangalang halos lahat ng tao sa Pilipinas ay nasasambit. Hindi mawawala sa ating isipan kung araw na ng bayaran. Kailangan ng magtabi ng kaukulang pera upang dumaloy ang liwanag sa gabi o dilim na hindi mapigilan. How much is your worth? “Human Rights makes us Human” was the statement that I will never forget when I attended the premier night of “Kinse”, a film produced by ANC Channel for their 15 years in the public service. “Kinse” is composed of 15 short stories films about Human Rights such as the Reproductive Health, LGBT or Equality, Respect, Intolerance, Right to live, and Environmental awareness. The film shows almost all aspects or issues that the Philippines is facing today. Because of poverty. Majority of the population lack of formal education and because of corruption from the greediness of some government officials, those who commited that sin of depriving the need of the poor people of what is due to them is a direct violation of human rights. The government is establish to protect, serve and ensure the health and security of it’s coutrymen. When some government officials right now were still campaigning, all flatporms, issues and arguments are always for the progress of the common people or constituents. Now they are in position, where are those promises? In the states, people are disciplined, polite and I would say has a sense of honor. When some congressmen has been expose to some misconduct, they resigned or even commited suicide. For our experience right now, a lot of stories, a lot of public hearings about our former government executives and yet, untill now, there is no definite judgement. Is it about our culture? Is it about us giving them a chance to do it to us? Are we that stupid not to know what is right and wrong? Are we a nation which is only worth 500 pesos per election? Ask yourself….where is your human rights? 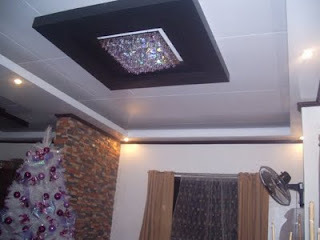 Asian Tropical Design is suited in this climate in the Philippines. With oversize windows to see the enchanting scenery and natural stones for exterior wall cover and also will serve as the architectural design. Newly start family likes a dream home though not enough yet with their financial capability. Andrew Grace Home Builders designs a conservative finish houses for the starters. Cost varies from 2M to 5M depends on the floor area, architectural finishes and scope of work. 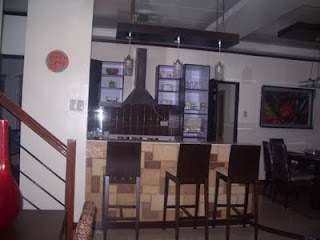 From drafts to turnover of the keys, we are ready to make your dream come true. A dictionary describe A Parvenu as a person who is a relative newcomer to a socioeconomic class. The word is borrowed from the French Language; it is the past participle of the verb parvenir (to reach, to arrive, to manage to do something) which for me is a positive one. The French word "arriviste" has a similar meaning and whether one like it or not is synonymous to “Social Climber” which apparently is an insult or negative attitude to many. 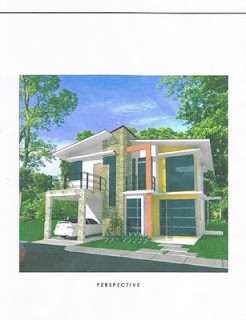 When Congressman and Boxing Champion Emmanuelle “Pacman” Pacquiao bought that more or less 388 Million pesos worth of residential house at the posh Forbes Park in Makati and then declined by the asociation to join the uber class world of Manila Polo Club allegedly due to his humble beginning or not classy enough from the association “pamantayan”, does it mean that even with his Billion Pesos empire, a singing sensation, international superstar and superboy like Manny is the perfect example of a Parvenu? It is an insult and to think his success came from his own talent and blood without the help of anyone. But why such an insult for somebody who is successful enough? Why such crab mentality? Henry Sy of SM Shooemart and now a Real estate developer was from a humble beginning, Can we categorize him as a “Social Climber” or Parvenu or those people who are just telling them about that are only jealous from the state and wealth they have now thus the insult. From Wikipedia. The word parvenu typically describes a person who recently ascended the social ladder, especially a nouveau riche or "new money" individual. The famous Molly Brown, who survived the Titanic sinking in 1912, was portrayed as a "new money" individual in the "climbing social classes" musical The Unsinkable Molly Brown because of her impoverished Irish immigrant roots and lack of social pedigree. Such insult is also heard from some gossip magazines such as the status of Gretchen Barretto right now or Ruffa Gutierres? Thus the words “Rags to Riches’ a negative one now which from my own definition is a person or status that because of ability, knowledge, talent or luck, one from his humble beginnings became rich because of his overwhelming and exceptional effort. (from wiki) If based from The Oxford English Dictionary defines a parvenu as: "A person from a humble background who has rapidly gained wealth or an influential social position; a nouveau riche; an upstart, a social climber. Also in extended use. Generally used with the implication that the person concerned is unsuited to the new social position, especially through lacking the necessary manners or accomplishments." The term is an insult so why use it? Are we not the civilized enough to accept the success of others? Only few individuals or families came from richness. Based on history, more or less, everyone came from nothing but because of determination and will to succeed, they became successful and that is not one easy way to go up. Would be hard for a lot of us to accept those people from humble beginnings and just make way for them to fit in the society? Why such insult again? Why such mean words? Is it because of the culture or just a norm because of the term survival of the fittest. 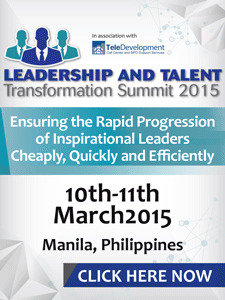 So if that will be the situation, Aple-de-Ap, Cinderella and Alladin are both Parvenu or may I include also Mulan?. From wiki, The term designates individuals not socially accepted by individuals already established in their new class. It expresses a form of classism or may I say Elitism or discrimination? Several examples might include athletic and entertainment professionals born and raised in poverty and of course perfect example is Manny Pacqiuao and suddenly finding themselves with significantly higher sources of income due to their new-found celebrity status. The established old money factions of society often choose to exclude these individuals from their ranks, with the argument that such people are tasteless in their spending and use their wealth to flaunt their economic standing rather than practice philanthropy, maintain discretion, and otherwise acquiesce to the accepted behavior of the social class. And because google and wiki are my bestfriends that are always helping me in terms of definition and to get examples, mostly but not all gave me an idea about this negative term “Parvenu.” But my friend and assistant Robi told me that it is free to dream, so dream high and for me there’s nothing wrong with it. If one will be successful and will get the luck from somebody else or opportunity? I think we need to be happy for that person, that person can be an inspiration and an example of getting out from misery to success. People always like to climb a ladder to check what’s on the other side of the fence and yes usually but not always a much greener pasture. Is there anything wrong with that? As long as there are still honesty, Integrity and the principle are still intack without taking advantage of others, I think going up to that ladder could help us also to succeed, remove that crab mentality and embrace acceptance. Magandang araw sa ating lahat. Kaninang umaga, ako ay pormal na nanumpa kay Pangulong Noynoy Aquino bilang Deputy Commissioner for Intelligence ng Bureau of Customs. Bilang isang dating sundalo na tapat sa kanyang tungkulin, hindi ako nag-dalawang isip na tanggapin ang atas na binigay sa akin, isang atas upang muling pagsilbihan ang mamamayan at ipagtanggol ang kanilang interes. Ako ay nagagalak sa tiwalang ipinagkaloob sa akin ni Pangulong Aquino at Department of Finance Secretary Cesar Purisima. Gayundin, ako ay nalulugod sa suporta mula sa mga kawani ng Bureau of Customs at ng lahat ng mamamayan na naniniwala at sumusuporta sa akin; ako ay malugod na nagpapasalamat sa inyo at hindi ninyo tinipid ang inyong pagtitiwala. 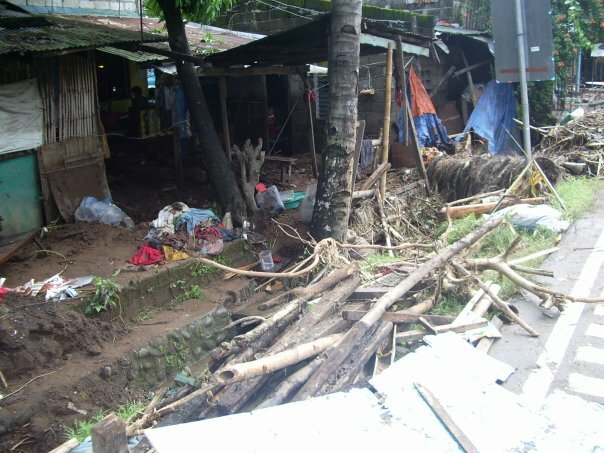 Makakaasa kayo na aking susuklian ang inyong tiwala ng tapat na paglilingkod upang makabuluhang makatulong sa paglilinis ng gobyerno ng mga tiwali at mandarambong. Maliwanag po ang mandato at utos sa akin ni Pangulong Aquino—Una, tulungan ang gobyerno sa epektibong pangongolekta ng buwis, at pangalawa, labanan at sugpuin ang corruption at lahat ng porma ng smuggling sa customs bureau. Hindi po ito madaling mga atas. Alam natin lahat ang mga hamon at panganib sa likod ng mga responsibilidad na ito. Ngunit buo po ang aking tiwala na nasa likod ko ang mamamayan, gayundin ang karamihan sa Bureau of Customs. Kaya kahit mahirap at masalimuot, matatag natin na tinatanggap at haharapin ang mga hamong ito. Tunay na malala ang problema ng korapsyon sa ating bayan. At lalo pa itong naging malubha dahil na rin sa siyam na taon ng tiwaling pamumuno ng nakaraang administrasyon ni Gloria Macapagal-Arroyo at ng kanyang asawang si Mike Arroyo. Isang repleksyon lamang dito ang mga problemang kinahaharap ngayon ng Bureau of Customs. Dahil sa hindi masawatang corruption at smuggling lubhang napipinsala ang importanteng pangongolekta ng buwis na kailangan upang pondohan ang mga batayang serbisyo ng mamamayan. Mas malungkot, dahil sa salot na dulot ng smuggling, unti-unti nitong pinapatay ang ating mga lokal na industriya, at inaagaw ang pinagka-kabuhayan ng ating mga magbubukid at manggagawa. Hindi tayo papayag na ganito palagi ang kalakaran. Kaya’t ang mantsa ng korapsyon ng nakaraan ay kailangan nang burahin. Ang mga tiwaling kalakaran ng nakaraang administrasyon ay kailangang ituwid at baguhin. Sinisimulan na ito sa maraming mga departamento at ahensya. Ganito rin ang ating gagawin sa Bureau of Customs. Kaya’t kung dati ang nawawalang parang bula ay mga container vans, ngayon pipilitin nating ang maglaho ay ang mga tiwaling gawain. Kung dati kotong ang motibasyon ng ilan upang magtrabaho sa ahensyang ito, ngayon, walang pag-iimbot na serbisyo ang ipapalit natin. Mula sa pagtingin na ang Bureau of Customs ay pugad ng mga manloloko at magnanakaw, pag-sisikapan natin na makilala ang bureau bilang isang lugar ng kagalingan at tapat na paglilingkod. Naniniwala ako na karamihan ng kawani sa BoC ay tapat sa bayan. Naniniwala ako na mananaig ang mabuti sa ilan na masasama. At doon sa mga matitigas ang ulo kasama ng kanilang mga barkada sa labas ng Customs na nagnanais ipilit ang kanilang tiwaling mga gawain, binabalaan ko kayo, itigil na ninyo ang inyong mga kalakaran at iba pang masamang balakin. We will not treat you with kid gloves. You will not enjoy undue favor and advantage in this bureau. We will not treat those who willfully rob the Filipino people and their government gently. To those who get their way through bribery and other inducements, don’t even think about it. The Arroyo government and the corrupt few in the military, which I have fought against, failed to seduce me with money or favors; so will you. Hindi kami papayag na mantsahan ng ilang bulok ang pangarap ng marami para sa tunay na pagbabago. Kaya’t nananawagan ako sa lahat ng mamamayang muhing-muhi na sa korapsyon, pagtulungan nating sugpuin ang katiwalian at ituwid ang mga kamalian. Umaasa ako, kasama ni Bureau of Customs Commissioner Ruffy Biazon na nasa likod namin ang sambayanan sa mahalagang gawaing ito. Just had a talked with my only male cousin. He is still young in his early twenties. A second year Hotel and Restaurant student but on leave for the meantime due to financial problem. His Dad died when he was still young. His mother, a widow now and he have a twin sisters both are working and graduated already in College unlike him because of friends and changing his course all the time stuck in Second Year. I told him all the lessons I learned from this meaningful life so far and well with 1000 words I’ll summarized the four ours of that moment. 2. People will leave you, most probably in times of darkness. 4. In Calauan, there are still few who have integrity, principle and word of honor. 5. Discrimination in Philippines is much higher compare the ones abroad which is mostly racial. 6. People usually look about the status of life, much important if one is rich than no means at all. 7. Some Generals have lot’s of money because of corruption, instead they are using it to their subordinates, they are using the funds in personal use same as about that 500,000 pesos boots of the son. 8. Exceptional talent like Manny Pacquiao and Charice are amazing but is not applicable to the majority of the population, people still need to study and have proper education to succeed in life. 9. Love of Family usually remained than friends when in need. 10. Wisdom came from family such as parents. 12. Miss Angola is the prettiest and the most talented female contestants, don’t judge her by the color of her skin. 13. A writer could only write because of her experiences. 14. Life is short, take the risk. 15. Crab mentality because of poverty. 16. Hard to find work nowadays due to over population with the same skills. 18. Charice is very respected in her field of choice, Americans respected her by asking her to sing in public their national anthem. Be proud Filipinos. 19. Time management is the key. 20. Success is 25% Integrity, 25% Hard work and the rest which is 50% is luck. 25. Money is powerful but not all happiness can be solved with money. We went home after some project inspection, I learned a lot. As an observant as I am and based from the interviews I did, some conclusions arrived. Reality bites but these are the facts and yes, truth hurts.
" Proven, when people saw that you have lots to give, more are there to take advantage of you. A beach is one encouraging tool eventhough you dont like to swim, Boracay beach? you cannot resist it. Aqua color water with a striking sunrise plus a status symbol for just being there. Any chocolates from 'Bizu" eventhough its his first time to taste that so expensive one, with a room to destroy you or if you dont have anything to give after..they will leave you. I am calling them "Leach". As one became mature, synonym? Old and yes old, doing what is right based on morals is what one must do. Laws are written by men of knowledge and power but does it provides us wealth and peace? Maybe to some but not for the majority. As I knocked with so many hearts to give to many farmers a week ago, only few opened their doors and surprised for they were not the ones I expected. I am just proud doing what I think I can do best which is designing. Oh nope! not for beauty queens but for the whole family as their dream home. Since I came back in the Philippines as this major lame years as a housewife living and yes! Enjoying too at the east coast and exposed with their different house styles, interiors and newest technology, I decided to pursue what I really think that I can do and that is constructing houses, preserving ancestral homes or even renovating a World War II building. I love to play with colors, talk to people and managing an entire manpower. They said that it’s passion but for me I think it is destiny. Would love to share with you guys my not so finish products, my assistant just took some pictures today, this will be turnover maybe a week from now, enjoy and check what I am empowered to do. A happy mother because of reproductive health.